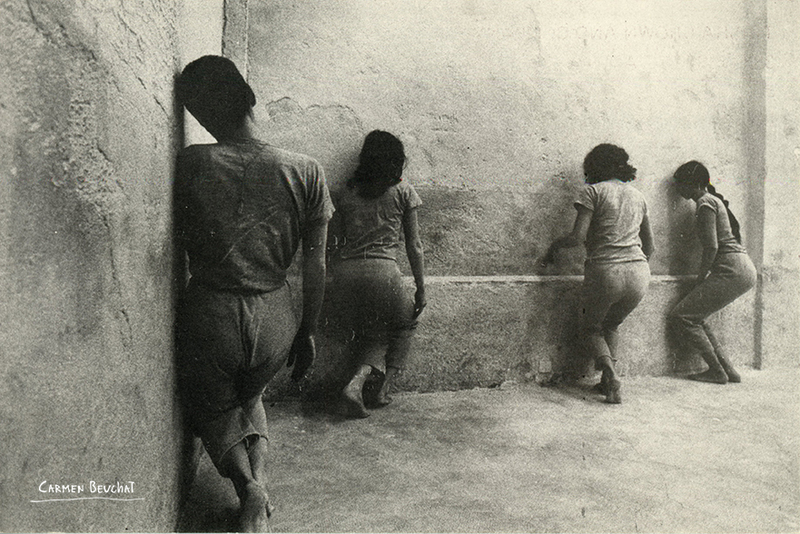 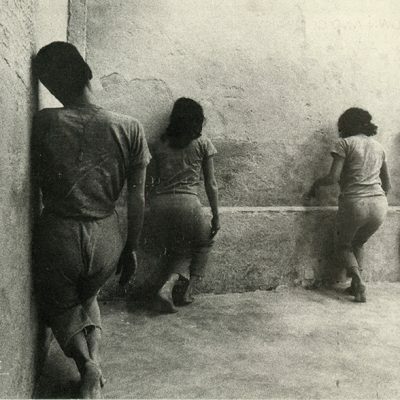 Invitation to Trisha Brown and Company´s performance; the photograph, taken by Giorgio Colombo, shows the back part of Carmen Beuchat and three other dancers. 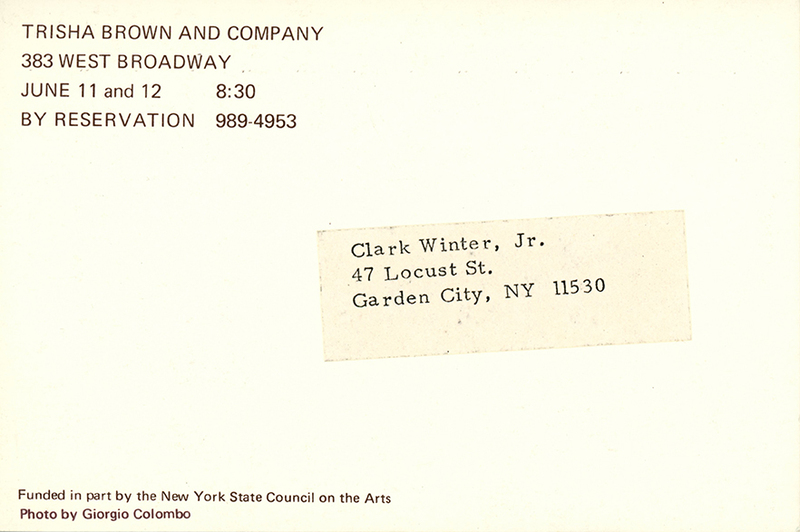 The event was partly financed by the New York City State Council on the Arts. 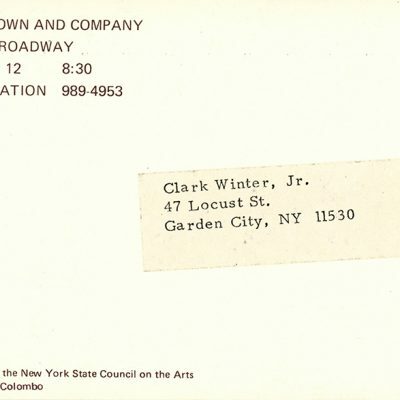 Physical Description: Invitation 15,9 x 10,5 cm.